Zach Mayer is an experienced trial lawyer who represents clients in courtrooms across the country. He has spent the majority of his practice counseling and defending Fortune 500 corporations, mid-size businesses and individuals facing high-risk, catastrophic loss actions. Zach has tried over 30 jury trials throughout Texas, and has represented clients as lead counsel in Alabama, Arizona, California, Illinois, Louisiana, Ohio, Oklahoma, Florida, New Jersey, New Mexico, New York, Massachusetts and Pennsylvania. 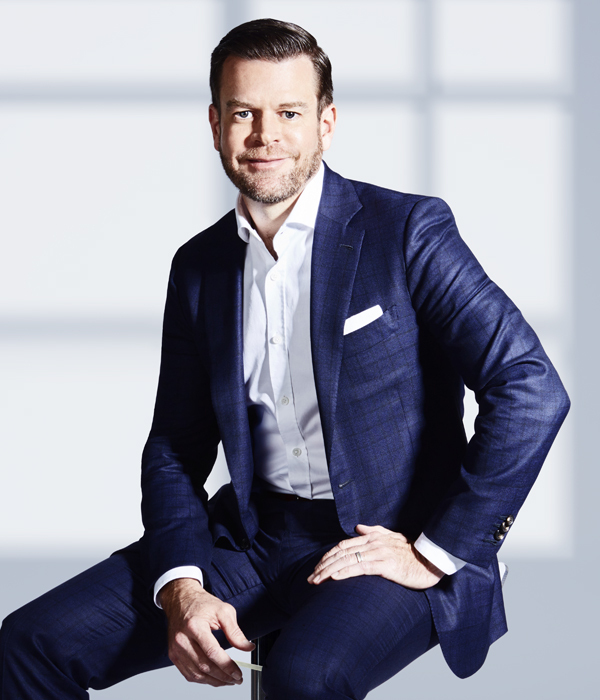 Due to his trial success and creative approach to litigation, Zach serves as National Coordinating Counsel for several of his Fortune 500 clients and has tried a large variety of cases, including product liability matters, employment and commercial disputes, shareholder oppression claims and cases involving catastrophic loss. Zach incorporates an aggressive, strategic approach to representing his clients in venues across the country. Zach’s trial accolades and reputation among his peers led to his being selected as a member of the American Board of Trial Advocates (ABOTA). Zach is often asked to present to organizations on an array of topics focusing on his trial experience and strategic approach to representing clients. Served as National Coordinating Counsel for a national retailer in a product recall action involving lawsuits filed in several states. Obtained favorable settlement after a week-long trial in Philadelphia involving a products defect claim against a national restaurant company. Zach was hired the Friday before trial and served as lead trial counsel. After discovering damaging social media involving the Plaintiff, Zach was able to resolve the matter for a lesser amount than was demanded prior to trial. Unanimous defense jury verdict on behalf of a national freight carrier in a wrongful death action where the plaintiffs were seeking in excess of $18 million in damages. The four-day trial in the historically pro-plaintiff venue of Wise County resulted in one of the first defense verdicts in a wrongful death case against a national trucking company. Unanimous defense jury verdict — following 12 minutes of deliberation — on behalf of national freight carrier, in traumatic brain injury and wrongful death action involving a tractor-trailer accident on an interstate highway. Last settlement demand prior to trial was in excess of $15 million. Defense jury verdict on behalf of national retailer, in a wrongful death action where the plaintiff incurred over $1.3 million in medical expenses. The jury found no negligence on behalf of the defendant after less than 30 minutes of deliberation. Jury verdict on behalf of national retailer in a breach of lease dispute arising out of a fire that destroyed a store located in Pasadena, Texas. The four-day trial in Harris County District Court resulted in a finding that the landlord breached the lease with the retailer, and the jury awarded all of the damages sought, including lost profits, plus recovery of all attorney fees and court costs, for a total judgment in excess of $625,000. Unanimous jury verdict — following 20 minutes of deliberation — on behalf of a large national discount store chain in breach of lease action. It was determined the landlord breached the lease and client was awarded substantial damages. Settlement in favor of defendant in commercial dispute where Zach was hired before trial and after previous defense counsel suggested defendant pay a significant settlement. Plaintiff settled during trial for a walk away between the parties. Defense jury verdict on behalf of national retailer, in wrongful death action stemming from a security guard shooting a suspected shoplifter while fleeing from the store. Although the security company that hired the guard settled with the plaintiff, the jury found in favor of the retailer. Settlement in favor of national restaurant chain in a dram shop wrongful death case in which plaintiff was represented by one of the top trial firms in Texas. Settled on eve of trial for same amount that was rejected by plaintiffs early in the case. Jury verdict in client’s favor in commercial lawsuit involving a breach of fiduciary duty between a construction company and its insurance broker. The jury found that the broker made misrepresentations and breached his duty to the plaintiff. One of the first defense verdicts in Texas on behalf of a national, nonprofit nursing home, in a medical malpractice wrongful death action. After using the plaintiff’s own experts to establish that the applicable standard of care was met by the medical staff, the jury found in favor of the defendant. “Avoiding the Risks and Pitfalls Associated with Security,” presented at the American Hospitality & Lodging Association. “Defending the Premises Liability Case in Texas,” presented at multiple seminars including US Law National Conference. “The Why, What and When of the New Texas Residential Construction Commission Act,” presented at multiple seminars. “Developing Effective Strategies for Mediation,” presented at multiple seminars. “Defending the Premises Liability Case in Texas” presented at multiple seminars including US Law National Conference. “The Why, What and When of the New Texas Residential Construction Commission Act” presented at multiple seminars. “Developing Effective Strategies for Mediation” presented at multiple seminars. Guest Lecturer, “Claims Handling and Reservation of Rights Under Florida & Texas Law” – presented by Zach Mayer.